Follow the Commish in the news and making news, as he sets out on his.20th cross country tailgating tour. Having logged more than 1,000,000 miles while visiting well over 1000 college and professional sporting events Joe Cahn is truly the Commissioner of tailgating. 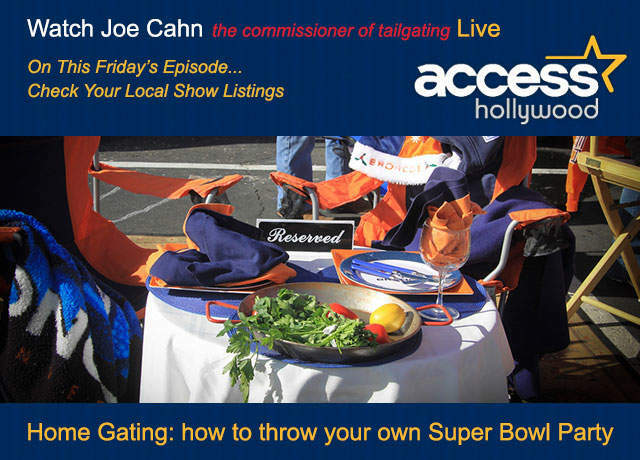 Visit often so you can read, follow, and watch from the links below to learn why Joe Cahn is highly sought out by various media outlets for his keen insight into how to do anything and everything related to tailgating. Check back soon to see what the Commish has been up to! He may be at your next sporting event, sharing his stories and tailgating food recipes from around the country.